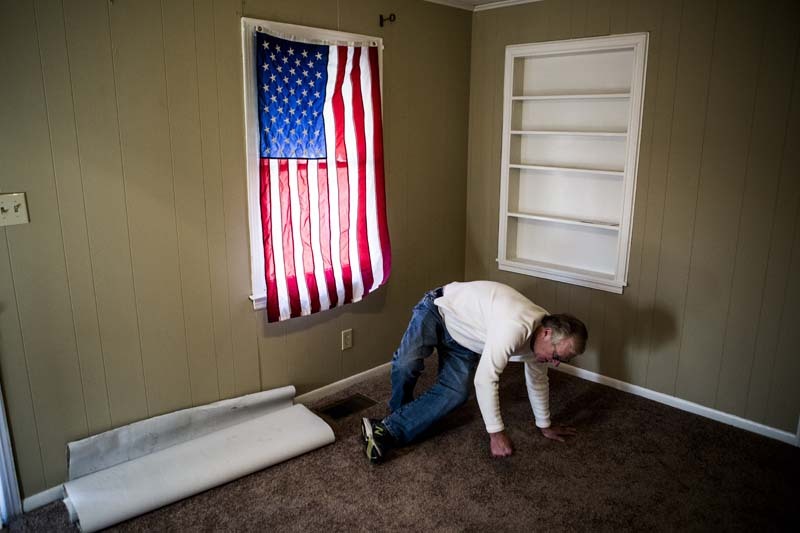 February 11, 2014 - Ron Oliver gets up off the floor after replacing an outlet cover in his late son's home in Memphis. Ron bought the house for his son after Paul got out of the military as an investment and to try and provide some stability to Paul's life. After Paul died in December Ron has been dealing with emptying the house, renovating parts of it, and trying to sell the home where his son died. Ron has moved a lot of his late son's belongings to his home in Bartlett where he is slowly going through everything. "It's hard to do a lot at once," Ron said. "His clothes smell like him and I can only be around them for so long before it's too much."